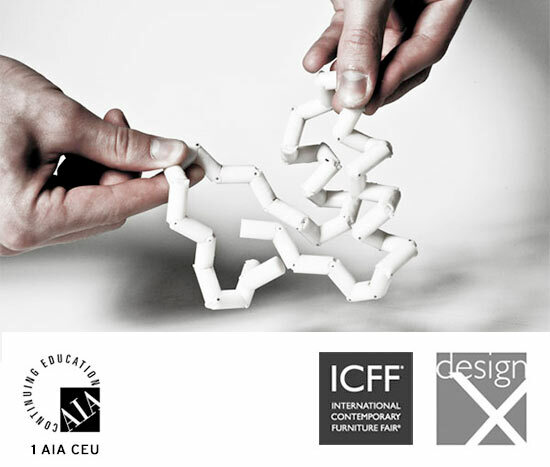 DesignX presenter Skylar Tibbits, the founder of SJET, Director of Self Assembly Lab, and Senior TED Fellow, will host a hands-on lab introducing interior designers and architects to the future of additive manufacturing and programmable matter. Discover how matter programmers design materials to self-assemble when exposed to the elements. Additional topics include 4D printing and how 3D printing technology is changing. Tibbits will utilize self-assembling structures to touch base on what these changes mean for design practices. The workshop takes place on Tuesday, May 21, 2013 from 12:30 to 1:30 PM and offers 1 AIA CEU. Registration is available online.